The Yukon Exelon models benefit from using Yukon’s pioneering Gen Super/CF-Super image intensifier tubes and R-Contact lens system. These unique features give significantly improved image quality across the entire field of view and resolutions comparable to entry level Gen 2+ tubes. 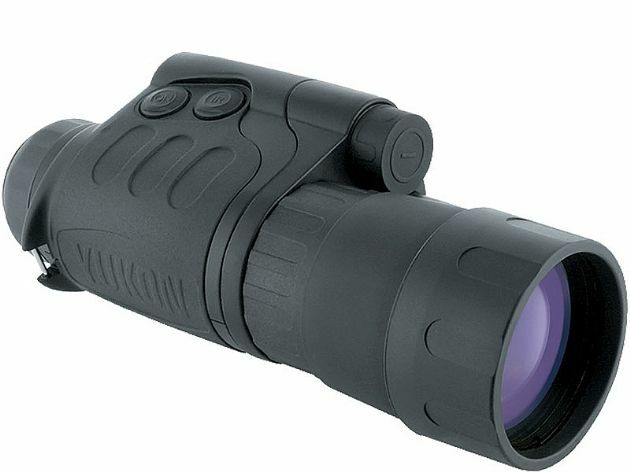 With unparalleled image quality for budget night vision solutions, these models consistently top any best seller list. Based on the winning and proven NVMT Spartan design, the sure-grip ABS plastic bodyshell has rubber inserts for added protection. With objective and ocular lens focus for greater control, the objective lens cap is also tethered to the body for security. Switches come easily to hand and twin operational status LEDs illuminate green and red depending on the active functions and alert the user should the device be accidently turned or left switched on.